More space needed. Not enough parking. Buildings are to close to each othersubmitted by Jerry H. - Feb 01, 2018 |Recommended: YesGood value for the rental fee Residents are respectful,courteous and polite.Property workers and management respond well. Great place to livesubmitted by Darius Y. - Jan 31, 2018 |Recommended: YesNice apartment for not a lot of money. Staff is very friendly and helpful. I love everything about it. Professional Staffsubmitted by Tri H. - Nov 28, 2017 |Recommended: YesI haven't been here long, but I have to say the staff is very professional. Maintenance is 5 Diamond quality and very fast to responding to inquiries. I can't speak for all the units, but they replaced appliances - no questioned asked. They just landed themselves a loyal tenant. It's a great place to livesubmitted by Rayne T. - Oct 25, 2017 |Recommended: YesI would tell them it's great. It's in a nice area and the community is great. Excellent property with great residence and company.submitted by Alexander E. - Aug 31, 2017 |Recommended: YesA great experience with friendly neighbors and great service. Friendly people and friendly petssubmitted by Jacob W. - Aug 31, 2017 |Recommended: YesIt is a great place for a good price and plenty of amenities. Overall great place to live.submitted by Samuel C. - Aug 21, 2017 |Recommended: YesThe units are nice and clean. Everything here looks like it is well cared for. Great staff who are incredibly helpful. Good College Livingsubmitted by Rachel J. - Aug 20, 2017 |Recommended: YesIt's a comfortable place to live, especially for college students. Staff is friendly and accommodating. Great Apartment submitted by Alexis J. 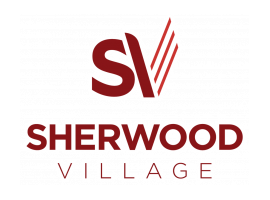 - Jun 20, 2017 |Recommended: YesI just moved out after living here for three years moving states, not staying in the area I would highly recommend Sherwood. I lived in both a 3 bedroom and studio during my time and liked both. Apartments were nice and clean, pretty affordable for the amenities, and Danielle and her staff were always GREAT and quick to help. If I had stayed in the area, I would have stayed here. Clean, convenient, and professional submitted by Brooke H. - Jun 19, 2017 |Recommended: YesThe property keeps everything clean, they are very responsive, and the apartment comes with a lot of amenities.